Punch out a hole on the bottom or lower right side of the box for the equipment wires. Connect the line input wires from the equipment (vacuum compressor, etc.) to the screws on the right side of the contactors. It does not matter which one goes on the top or bottom. Connect the ground from the equipment to the ground wire screw or another grounding source. 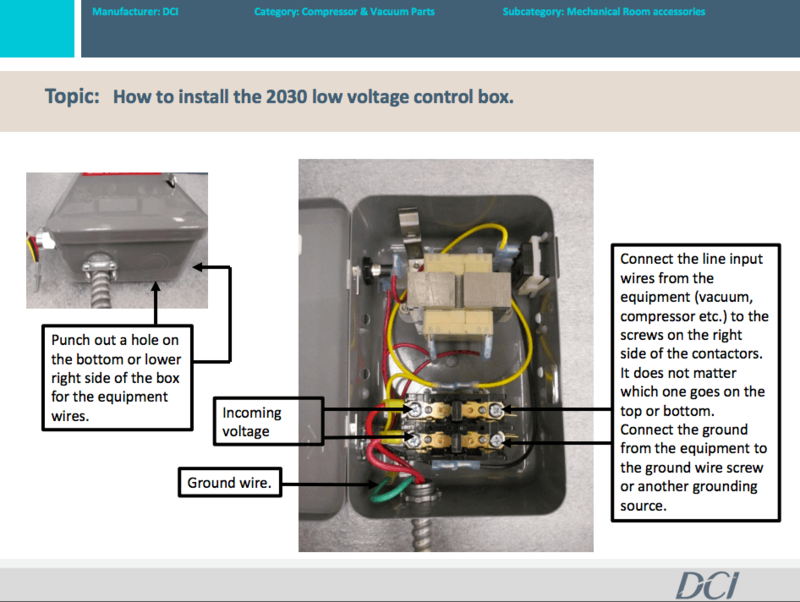 The PN 2030 low voltage control box is factory wired for 220-240 input voltage. 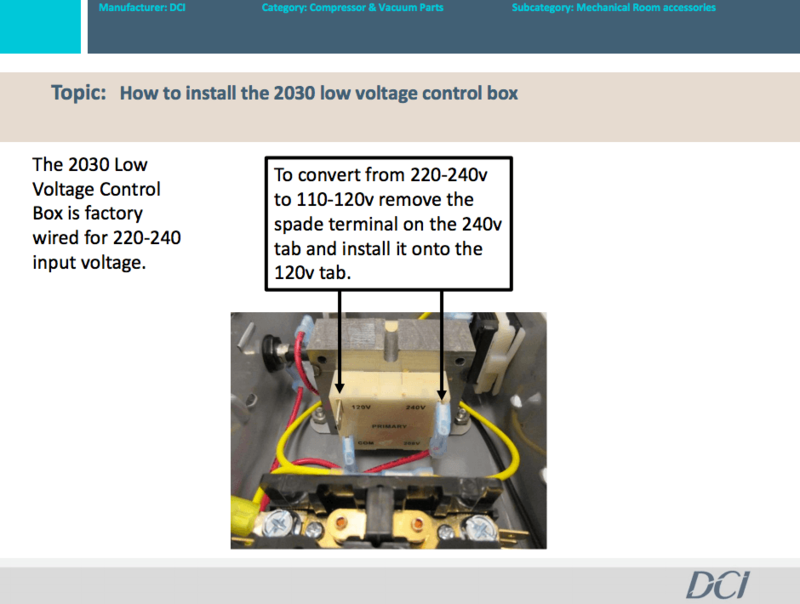 To convert from 220-240v to 110v-120v remove the spade terminal on the 240v tab and install it onto the 120v tab.